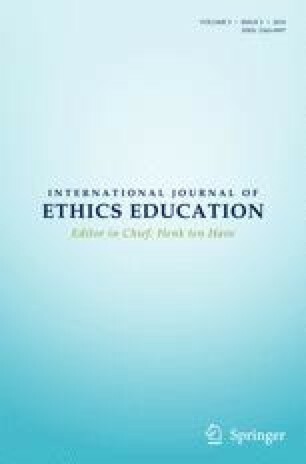 Academic professional ethics needs to be a part of scientific curriculum regardless of discipline. Students need to be taught to recognize the different categories throughout their academic careers and to aspire to belong to category H.
The color spectrum (red to green) position of the leadership determines that of the institution/ organization, given the direct influence of leadership on the proportion of each category. It is nearly impossible for an organization to be ethical with an unethical leadership. Bystanders far outnumber the oppressors and victims in most situations of abuse/ intellectual theft/ scientific misconduct in academia. The lack of bystander guilt from inaction enables unethical behavior and leadership. The above categorization of behavior spectrum would hopefully impress upon bystanders, their critical role in ensuring justness within an institution. The problem of unethical behavior in academia cannot be solved unless there is a widespread acceptance of its presence, and a willingness to confront it. Policies preventing institutions from conducting sham investigations need to be implemented by regulatory bodies (Nik-Zainal and Barroso 2019). Perhaps Science needs a #MeToo movement. The corresponding author states that there is no conflict of interest.